Several approaches are available to improve the quality of air in areas of high population density. Reformulated gasolines that have lower volatilities and use additives such as MTBE and ethanol to reduce CO emissions will probably be used. 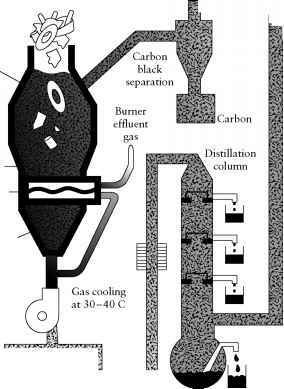 A catalytic converter that catalyzes the degradation of pollutants when the car is first started probably be mandated, as well. Alternative fuels, low-emission fuels such as natural gas, will be used in fleets of cars like taxis that operate in cities. In California in 1998, there was a requirement that 2% of all vehicles sold have zero tailpipe emissions. This percentage is mandated to increase to 10% by 2003. Other measures, such as stricter controls on the stationary sources mentioned earlier and limiting the number and types of vehicles in downtown areas, will also be implemented until the levels of carbon monoxide, ozone, volatile organics, and nitrogen oxide are decreased to the standards set by the federal EPA and by the state of California.